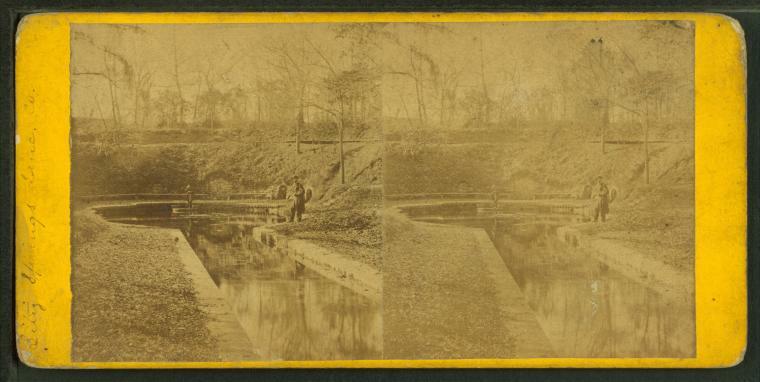 Following up on my post a couple days ago about William Gill's stereoviews of Lancaster City, today I present some of his photographs of the rest of the "Garden Spot." The Conestoga Creek, in particular, captured the artist's eye, as well as bridges and tunnels of the Pennsylvania Railroad. I'll begin with three views of Binkley's Bridge, built in 1777 or 1778 by Christian Binkley over the Conestoga near the current bridge of the New Holland Pike (Rt. 23). It was destroyed by a flood in 1867 and rebuilt in 1868. 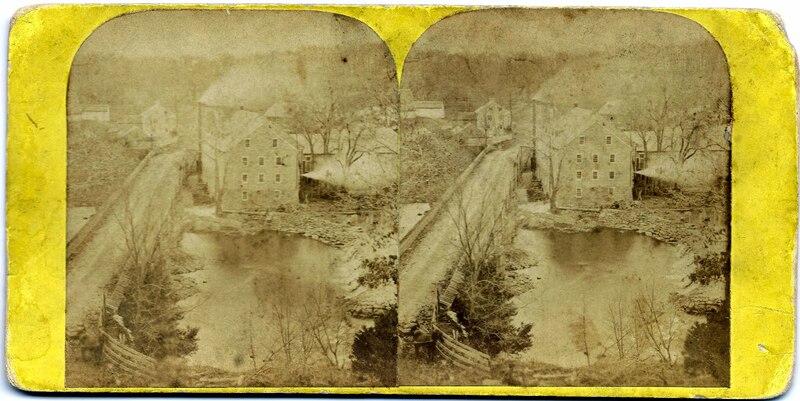 The stereoviews were made around that time so it's unclear whether they depict the old or new bridge. Also, here's another site with which many Lancasterians will be familiar: Lititz Springs. Finally, an album containing stereoviews from my collection, the Robert Dennis Collection, and (public domain) images from other sources.